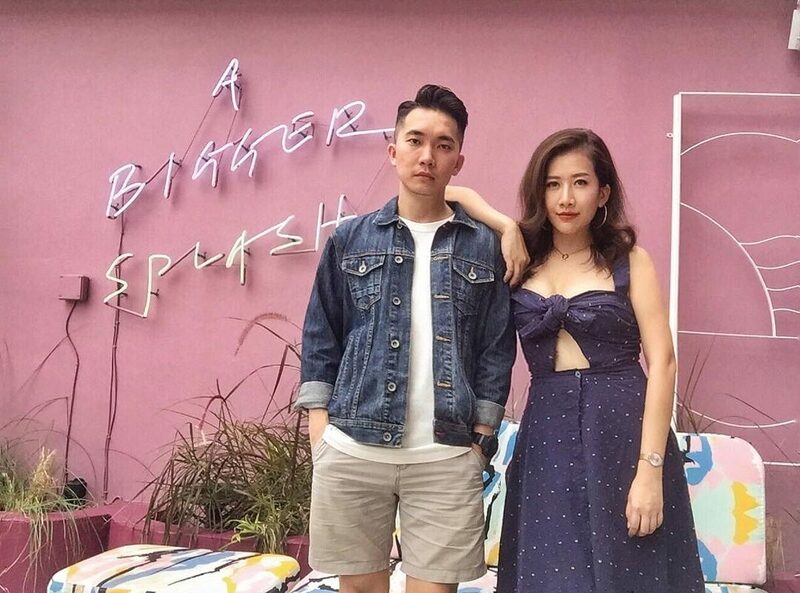 Are You Even A Couple If You Don't Have OOTD Shots Together? 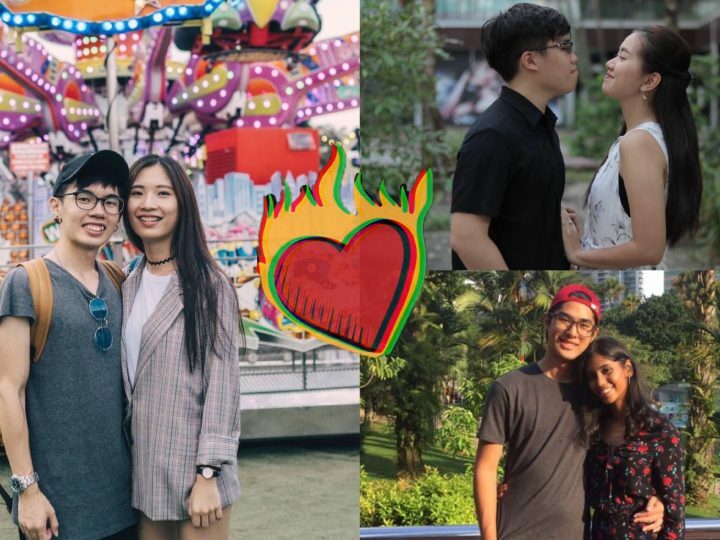 Are You Even A Couple If You Don’t Have OOTD Shots Together? Nestled in the heart of Damansara Perdana, this development is studded with artistic creations that’s certainly photo-worthy. 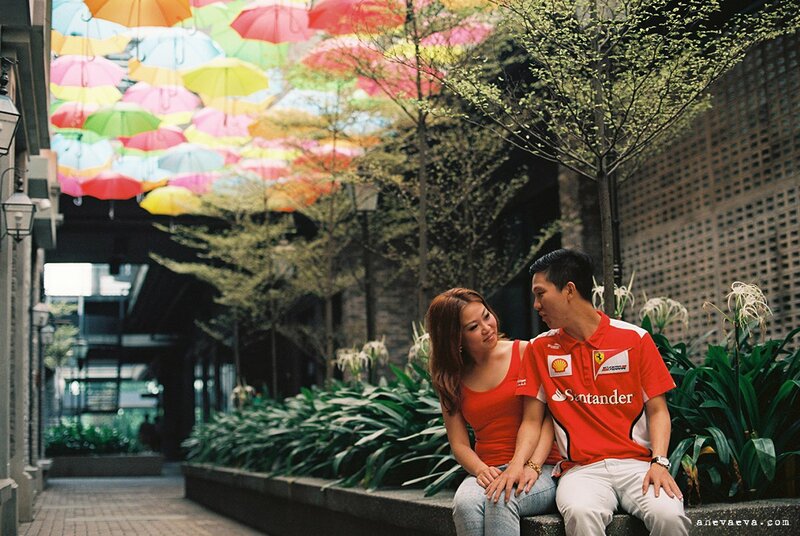 One of the most creative installations is definitely the ‘floating’ umbrellas, where colourful umbrellas encompass the entirety of the ‘ceiling’ in the courtyard, providing a uniquely quirky and artsy backdrop for OOTD photos. Address: Damansara Perdana, Petaling Jaya, Selangor. 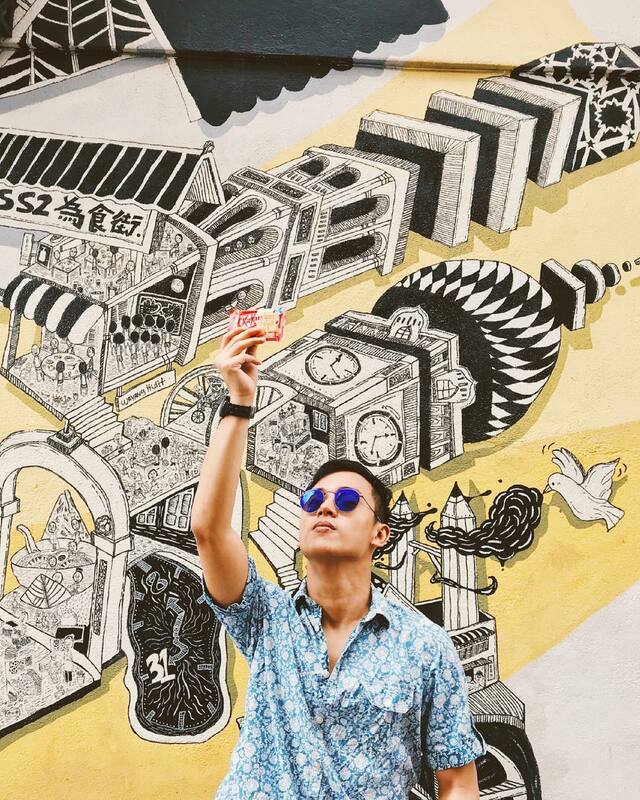 If you’re looking for tasteful graffiti artwork to give your photos an explosion of colour, head on over to SS2. There are approved graffiti works done all around the entire area, so go on an adventure and find them all! Click here for a list of all the artworks and their locations. A former industrial complex, APW has amazing soft ambient lighting during the daytime, perfect for leaving photos with a natural finish. Once the sun sets, your photos will truly convey the warm glow of the halogen lamps sprawled across the entire complex. 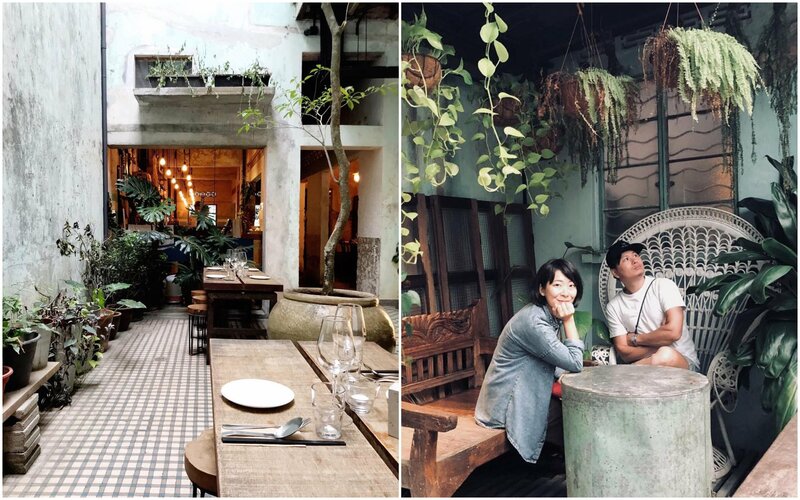 Hispter cafes and restaurants with beautiful interior designs are also sprawled all around the place, leaving you with endless options for OOTD pictures. 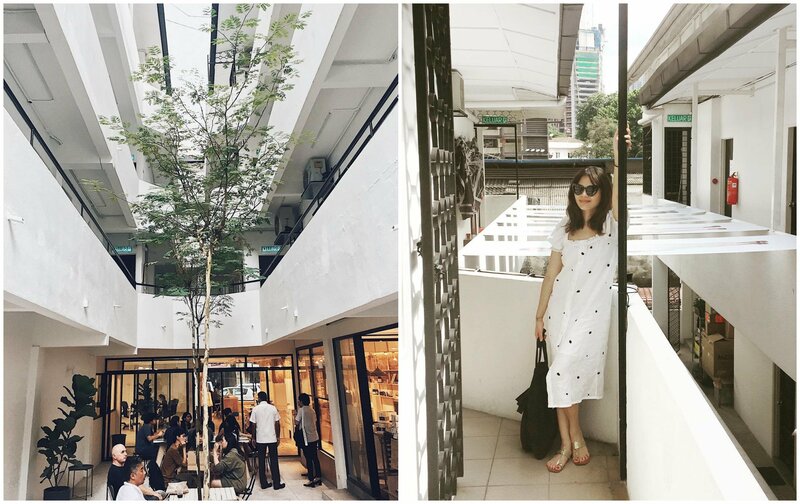 Address: 29 Jalan Riong, Bangsar, Kuala Lumpur. 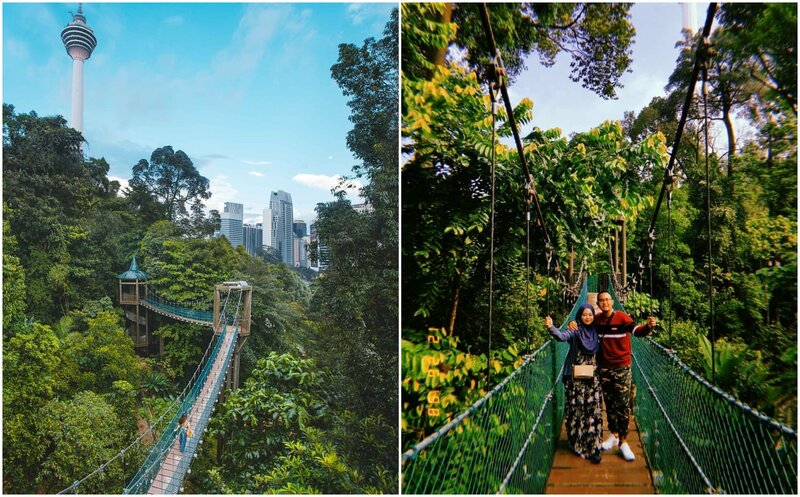 KL Forest Eco Park is one of the oldest permanent forest reserves in Malaysia, and also boasts one of KL’s amazing attractions, an impressive 200m canopy walk where you will be treated with a picturesque aerial view of the treetops and city beyond. The colours of the greenery contrast well with other nature tones (in outfits) such as brown, yellow, red, blue, etc. 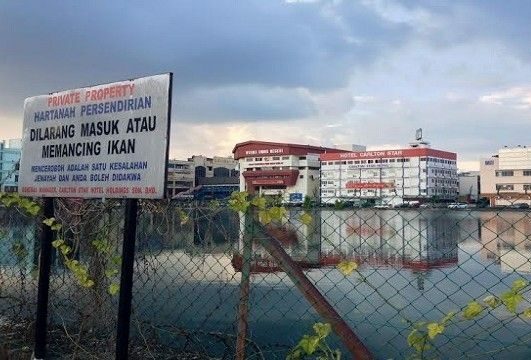 Address: Lot 240, Jalan Raja Chulan, Kuala Lumpur. Once a historical building, Zhongshan has now been converted into an arts and culture centre. The old but well-kept cozy interior provides adequate ambient lighting through transparent openings in the ceiling, allowing for natural sunlight to seep through. Corridors that vine throughout the building also allow for great OOTD photo opportunities. 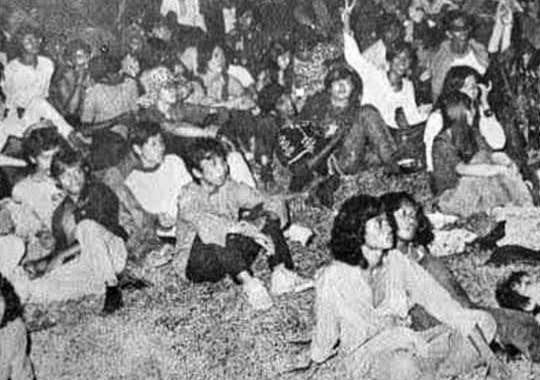 Address: Jalan Kampung Attap, 80 – 84, Jalan Rotan, 50460 Kuala Lumpur. Nothing screams vintage like Chocha Foodstore’s interior design. 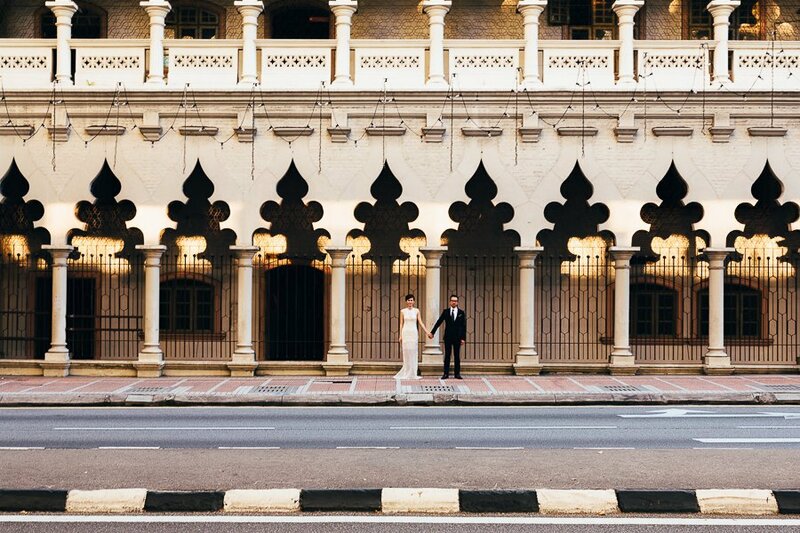 Housed in the abandoned Mah Lian Hotel, you’ll be greeted by peeling walls, old wooden tables, and charming decorations, making you feel as though you’ve been transported back into the golden era. 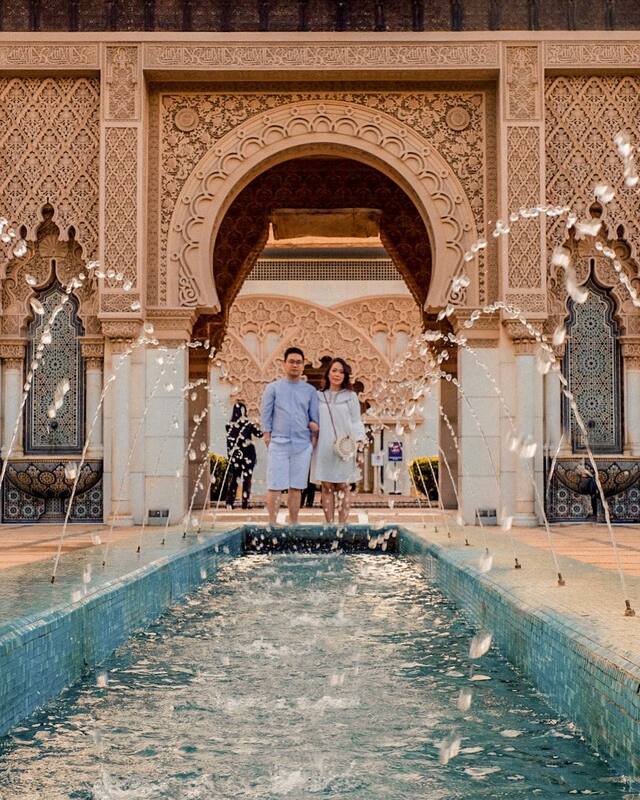 Chocha also features a courtyard which provides ample sunlight, the perfect kind of lighting for OOTD pictures. Address: Chocha Foodstore, 156, Petaling Street, Kuala Lumpur. 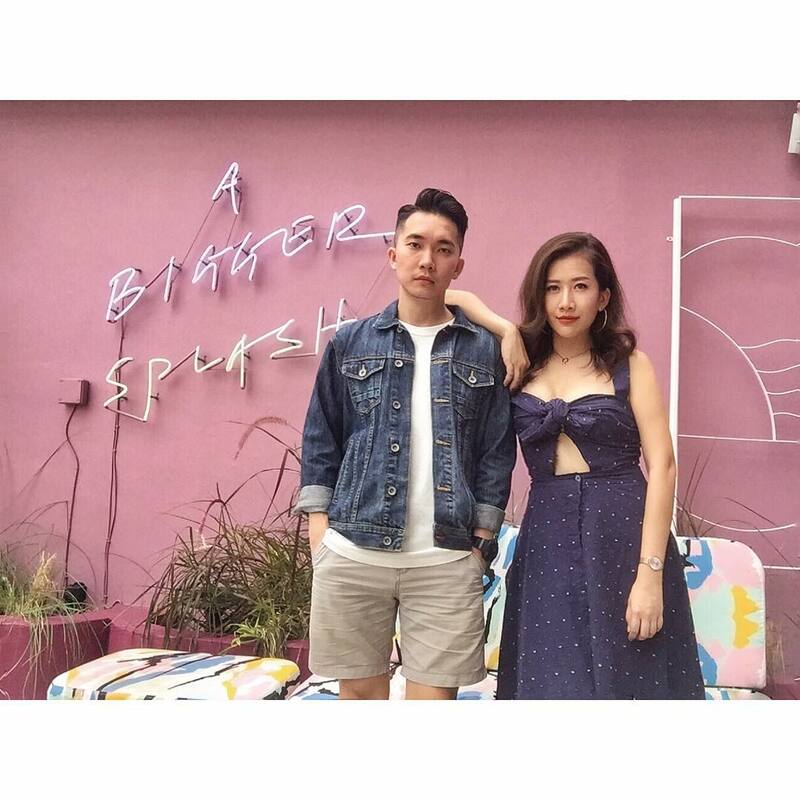 The Swimming Club is a rooftop pool bar that’ll give you a wonderful view of KL City. Its bright but muted pink walls is the perfect complement to comfort-fit, pastel-coloured outfits. The whole area definitely has some Wes Anderson aesthetics, exuding a late 70s and early 80s art deco style. Address: Level 11, The Kuala Lumpur Journal, No. 30 Jalan Beremi, Off Jalan Sultan Ismail, 50200 Kuala Lumpur. One of the oldest and largest temples in Southeast Asia, this six-tiered Buddhist temple represents a combination of contemporary architectural style and traditional designs with intricate embellishments, ornate carvings, and murals. 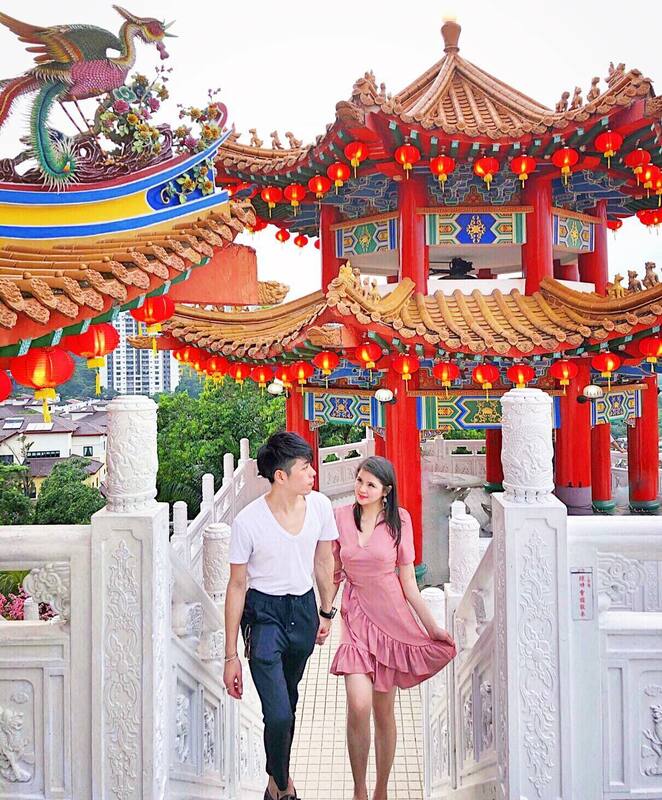 Take your OOTD pictures here to look as though you are part of a classic Chinese drama. Address: 65, Persiaran Endah, Taman Persiaran Desa, 50460 Kuala Lumpur. With bright blue skies and lush, vibrant green fields, Sekinchan paddy field proves to be an awesome location for photographs. Snapping your OOTD pictures here will be a nice change from usual busy background of the city. Address: In the vicinity of Jalan Tali Air Sekinchan, Selangor. This fairytale Moorish-style building adopts a mixture of Eastern and Western styles and resembles a typical Victorian-era English railway building. It is the grandest train station built in the city, and its striking architectural design makes for a spectacular background. Address: Jalan Sultan Hishamuddin, Kampung Attap, 50050 Kuala Lumpur. Address: Presint 1, 62000 Putrajaya. 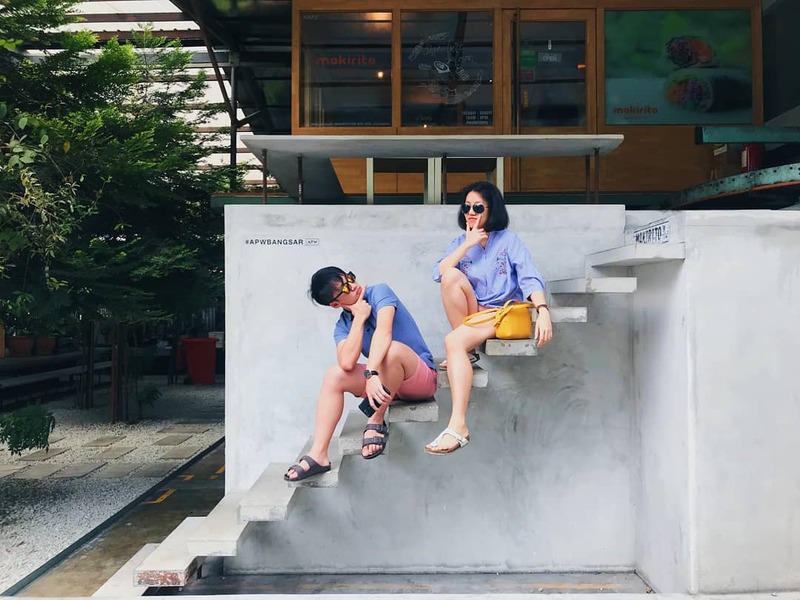 Take a photo with your partner in matching outfits (or similar styles/colours). Also, it doesn’t just have to be with your significant other. You can also snap a photo with your BFF or sibling too! Upload the picture onto Instagram. Make sure your account is public so that FashionValet will be able to view your photo. 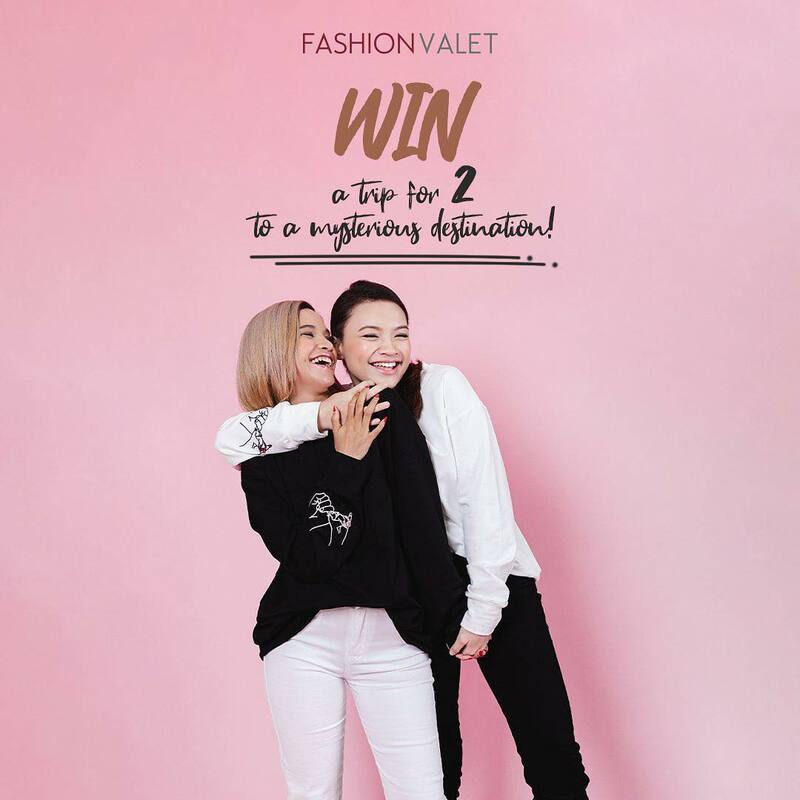 Tag #ipunyayoupunya and @fashionvaletcom in your caption and you’re good to go! This contest is running from now until 24 February 2019, so chop chop and start snapping those pics for a chance to walk away with a trip for two to New Zealand! Don’t have the threads to complete your OOTD? Say no more! 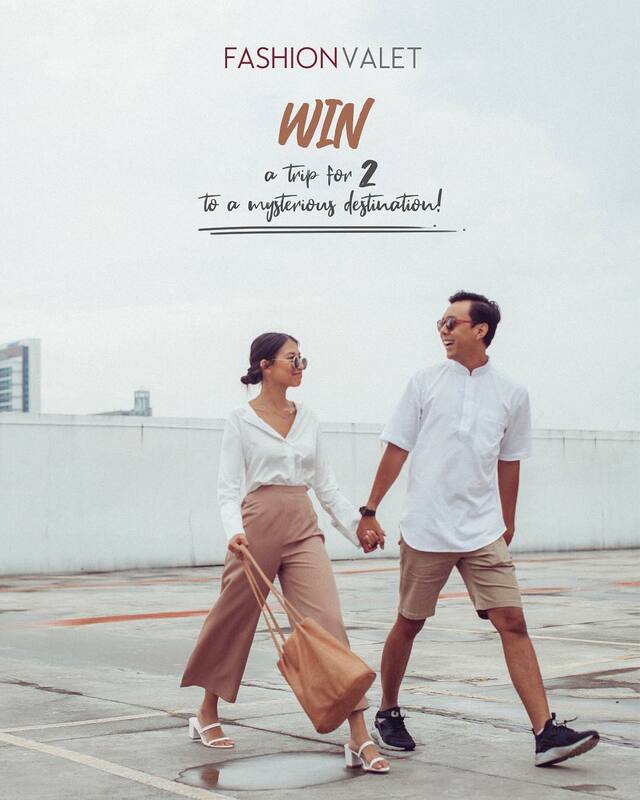 Check out FashionValet’s #ipunyayoupunya campaign and purchase two or more items from the line to get 20% off at checkout. The #ipunyayoupunya campaign is about those couples who are always vibing together, wearing the same clothes, enjoying the same food, sharing similar hobbies, and pretty much doing everything together. The #ipunyayoupunya sale is only until 28 February 2019, so click here to start shopping now! 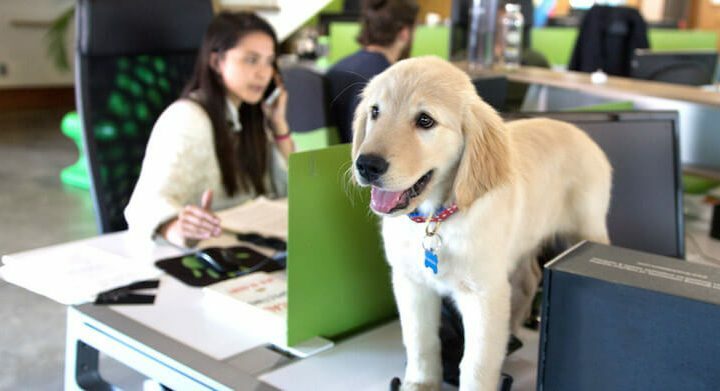 This article was originally published on SAYS. 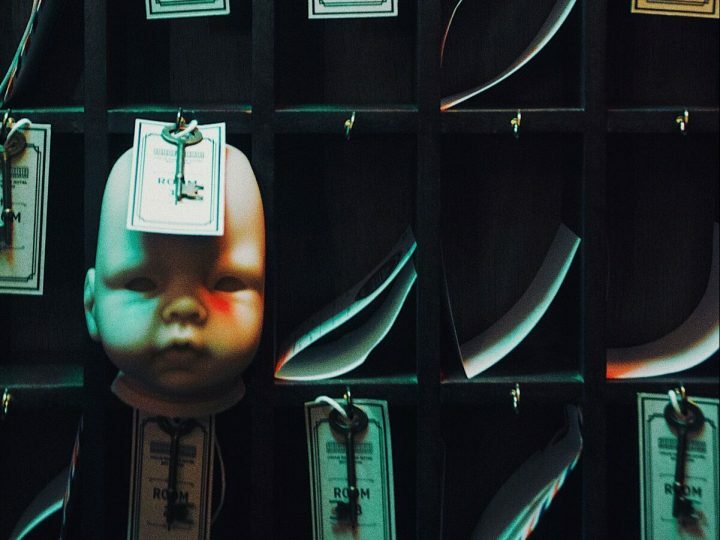 Malaysia’s first ever interactive haunted house, takut!